Maintenance of physiologic cellular functions and homeostasis requires highly coordinated interactions between different cellular compartments. In this regard, the endocytic system, which plays a key role in cargo internalization and trafficking within the cell, participates in upkeep of intracellular dynamics, while communicating with multiple organelles. 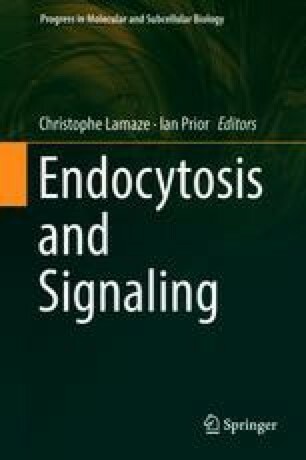 This chapter will discuss the function of endosomes from a standpoint of cellular integration. We will present examples of different types of interactions between endosomes and other cellular compartments, such as the endoplasmic reticulum (ER), mitochondria, the plasma membrane (PM), and the nuclear envelope. In addition, we will describe the incorporation of endocytic components, such as endosomal sorting complexes required for transport (ESCRT) proteins and Rab small GTPases, into cellular processes that operate outside of the endolysosomal pathway. The significance of endosomal interactions for processes such as signaling regulation, intracellular trafficking, organelle dynamics, metabolic control, and homeostatic responses will be reviewed. Accumulating data indicate that beyond its involvement in cargo transport, the endocytic pathway is comprehensively integrated into other systems of the cell and plays multiple roles in the complex net of cellular functions.